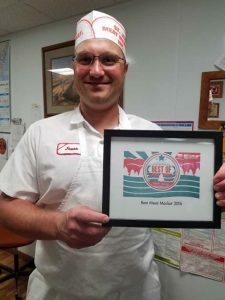 St. Joseph Meat Market is an award-winning, family-owned business that currently employs 30 individuals in its retail store and processing facility. 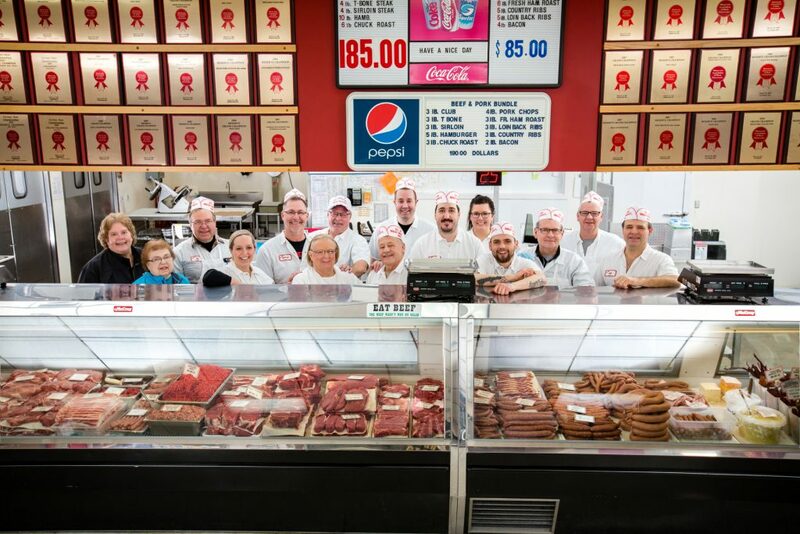 Each employee, many of which are family members including brothers, nephews, nieces, daughters, sons and grandchildren, takes great pride in their work and share a daily commitment to delivering the freshest quality meats and friendly service to our loyal customers. 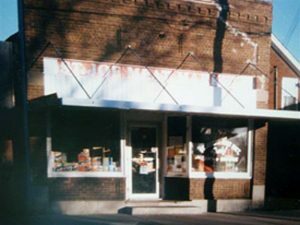 In 1948, John Pflueger (fleeeger) bought the St. Joseph Meat Market from Mike Klein. John was a farmer himself, so he knew the basics when it came to butchering and selling the meat. While John was getting on his feet in the meat business, he hired Al Pfannenstein. Al worked for John for 20 years until John decided to sell it. 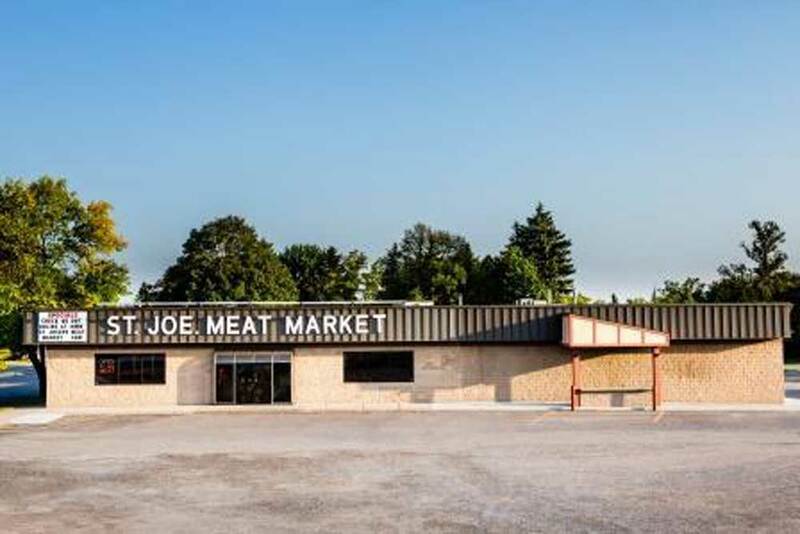 Al knew that he had to keep the Meat Market up and running – not only to keep his job, but so that the people of St. Joe would not have to travel to get high quality meat. In 1968, Al Pfannenstein became the new owner. 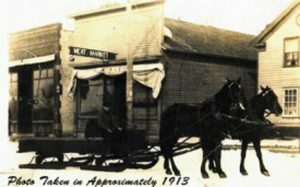 During the years that Al owned the Meat Market, he had all nine of his children work as part of his staff. In 1997, Al’s son Harvey Pfannenstein took over as the new owner. Harvey had worked at the meat market for 30 years before taking it over, and he is the current owner. In 2012, we added a sausage kitchen on to our retail store. We are so pleased with the results. We have been able to keep up with the demands for more homemade sausages and custom smoking orders! Our efforts have received national recognition after winning National 1st Place and National Best of Show for our Maple Breakfast links. Our Braunschweiger received a 2nd place award in National Competition and our Fresh Pork Sausage was also recognized for excellence by our peers. As a leading meat market in Minnesota, we have received awards at the state level for each of the following. St. Joseph Meat Market makes over 150 different kinds of sausages and over 60 kinds of brats. We invite you to visit our store and take home some of our award-winning products. Central MN Best Meat Market 2016! 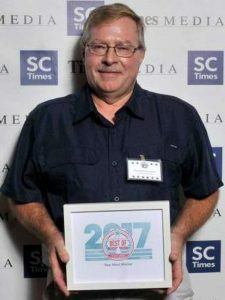 Central MN Best Meat Market 2017! Located in the heart of St. Joseph, our retail store is easy to find. We are conveniently located on 1st Avenue NW. You can find our processing plant around the corner on W Minnesota street.